First aid is the art and science of providing immediate emergency care to an injured individual, resulting from a sudden accident, disaster or hazard, until a reliable professional medical service is accessible. A well trained first aider not only can prevent further injuries, but can ultimately save lives. 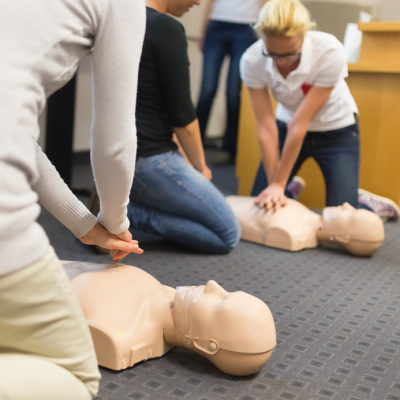 Does your job require that you get a certain level of first aid, CPR skills or both? Does your sport activity (soccer, swimming, hockey..etc) require you to have a certain level of first aid skills? 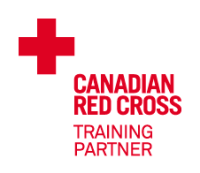 Have you ever encountered an emergency situation where you wished you could have helped others get over it with some first aid knowledge? Will you panic if you see someone bleeding, fainting or choking? Do you want to be ready to respond to emergencies at home? (not expired and not issued by any another organization). * Standard First Aid training with CPR-C/AED is one, but not the only, requirement for injection certification. Pharmacists have to check full requirements as per Ontario College of Pharmacists.